Please forgive my delinquency in getting new posts up; it was not from lack of desire. I have been having increasingly terrible headaches for a while now. Turns out, I spend too much time in front of computers and reading (surprise!). I need glasses. I feel more cliché than a happy ending, but I am thrilled to finally have an answer. We ordered my glasses on Friday and they should be here in a week or so. You can expect regularly scheduled posting to resume then. Meanwhile, I am avoiding screens as much as possible to reduce the strength of my headaches. Thanks for your patience! 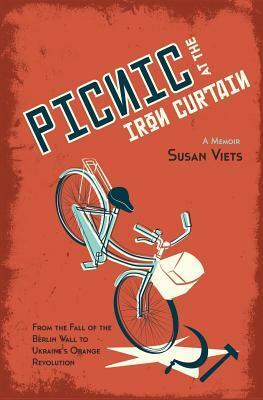 I promise that if you pick up this book in the meantime, you'll be so enthralled you won't even miss me! I am always hunting for the next Hunger Games. Aren't we all? Good characters, compelling plot, well written, social commentary between the lines - Suzanne Collins sparked deep discussion with her trilogy. When people ask me to suggest a similar book, to this point, I always suggest Divergent. However, thanks to a coworker's suggestion, I have a new book to recommend. 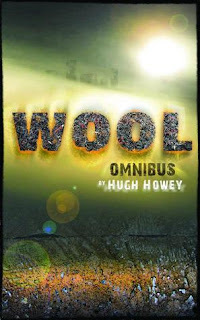 Wool is the latest and greatest in the recent line of dystopian-style novels. Unlike many of its peers, I would not necessarily classify it as young adult. Some of the content and language is a bit heavier than books like Hunger Games or the Across the Universe series. Still, for those who love reading about post-apocalyptic words, this book should be at the top of your list. At the start of the month, I mentioned a summer reading program that Tyndale Media Center is running. You can win a few different prizes, including free books. I never turn down free books. After perusing the list of books you can read for the program, I hit my typical sources to find the ones in which I was interested. Still Lolo made it into my hands first. If you do not keep up on celebrity gossip, the fashion world, or entertainment news, you have likely never heard of Lauren Scruggs. In December 2011, an airplane propeller hit her. As a result, she lost her left hand and eye. Though I did not realize it at the time her accident made headlines, Scruggs and her family have shared an incredible journey of faith. 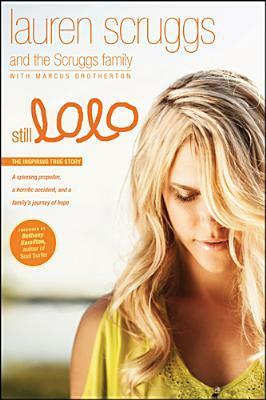 Still Lolo does not share just Lauren's story, but her whole family joins in the telling of their history. Back when I joined Goodreads, I knew one of the biggest perks would be seeing what books my friends and family are reading. Case in point: A Year of Biblical Womanhood by Rachel Held Evans. In January, I noticed that my sister-in-law had just finished this book and given it a four-star rating. I immediately put it on my long list of books to read. Despite having been a woman for years now, something about being a newlywed has heightened my interest in gender roles, their origins, and their validity. It still amazes me when a friend thinks gender inequality in the workplace and on pay scales is a thing of the past or, as happened to me last week, someone tells me that it's my "job" to cook, because I am a woman. Even though I explained to this kid that I cook because I enjoy it, not because of my gender, I still don't think he got it. Gender issues are tough topics, especially within the church. Men and women have a hard time understanding each other's perspectives before you add the implications of what Scripture says on the matter. I think most of us avoid the topic in general conversation due to the controversy it can create. When we do talk about it, as I did when taking a Scriptural Interpretations of Gender Issues course a few years back, few Christians can agree on the topic. Evans tackles the debate head on. 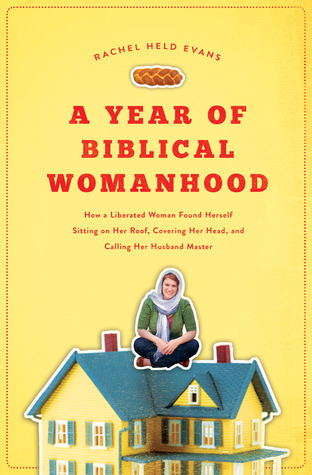 In the spirit of authors before her who have embarked on similar journeys (The Year of Living Biblically, Living Oprah, and many more), Held decided to uphold all aspects of womanhood described in the Bible for one year. She choose to abide by standards in both the Old and New Testaments, focusing on a different aspect of the challenge each month. Just like The Hunger Games did last year and Divergent will next year, this year Ender's Game is going to make a big splash at the box office. As I mentioned in a recent post, I think film adaptations of young adult novels are just beginning their rise. We have seen a few successful ventures, but I believe the next few years will inundate us with interpretations of all the books that have flooded the market in the past few years. 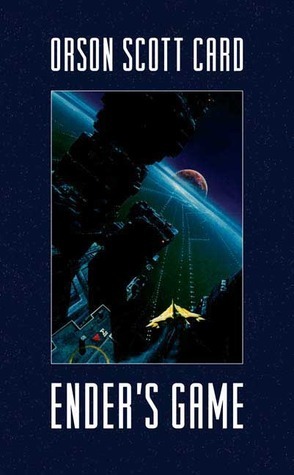 Of course, Ender's Game did not hit bookstores in the past few years. It's an oldie, but goodie when it comes to young adult sci-fi literature. A convincing argument could certainly be made that Orson Scott Card's classic served as an early catalyst for the trends we see now. 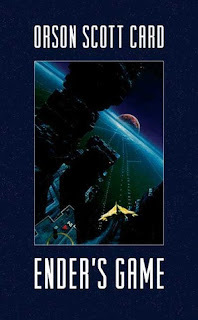 Released in 1985, this book initiates an extensive series of books, each exploring a futuristic world in which young children are trained for mankind's war with an alien species. As a child, our library's summer reading program always ranked as a highlight of my summer. My mom would take my sister and me to the library on the day it started and we would each take home a stack of books practically as big as we were. Once home, we promptly built a blanket fort in either the living room or the backyard, depending on the weather. We stayed in that fort until we finished the program. Every year we were back at the library by the end of the week with our completed challenges and were given our prizes by skeptical librarians. Now having reached adulthood, one of the great disappointments of summer is the nonexistence and/or weakness of summer reading programs for adults. The few that do exist typically have pretty sad prizes. Ok, ok. Adults probably should not need the same incentive-fueled reminders to read. I certainly don't need them, but they are fun and quite a few adults I know could benefit from a good reason to read. Our library is not offering any sort of program that I know of this year. One of my coworkers did find a program through Tyndale Media Center, which is a Christian publisher. If you read 5 books on their list and review them online over the course of the summer, you get a free book. Not a bad deal. The person who reads the most gets a gift card. I cannot say that tons of the books on the list interest me, but I am going to take the challenge regardless. I am not the type of person who turns down a chance to win a free book. Do you know of any other online summer reading programs for adults? I did a quick Google search but didn't turn up anything. If I did a summer reading program on the blog, would you participate?